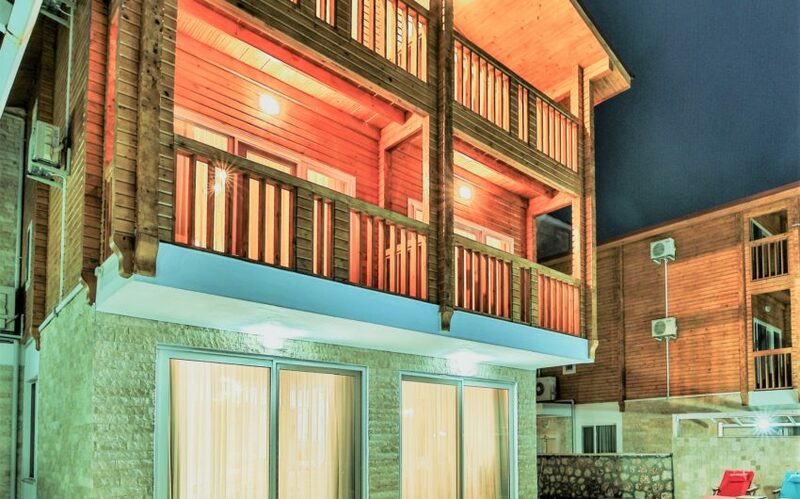 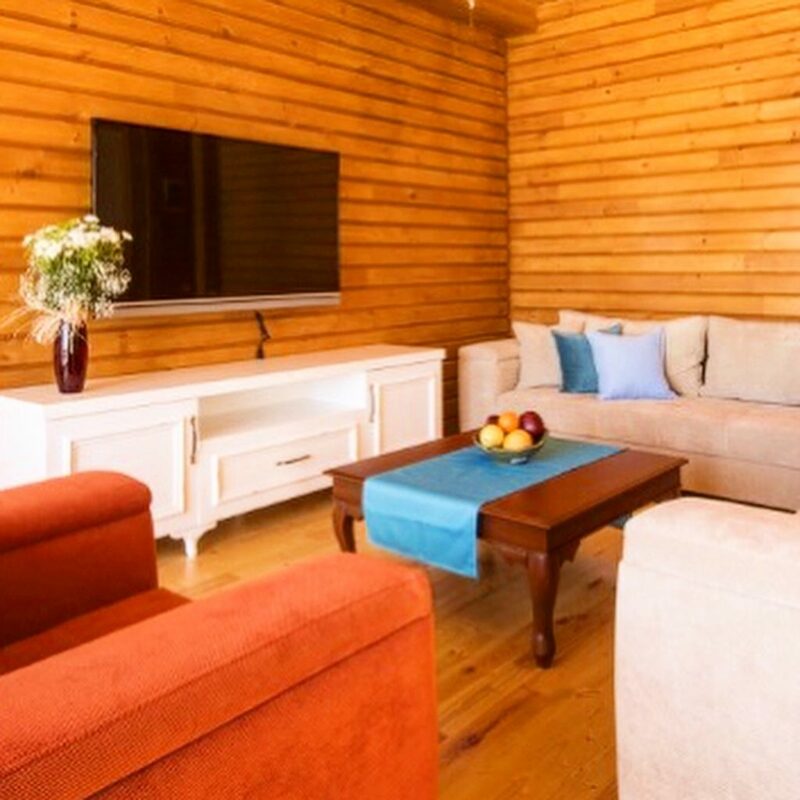 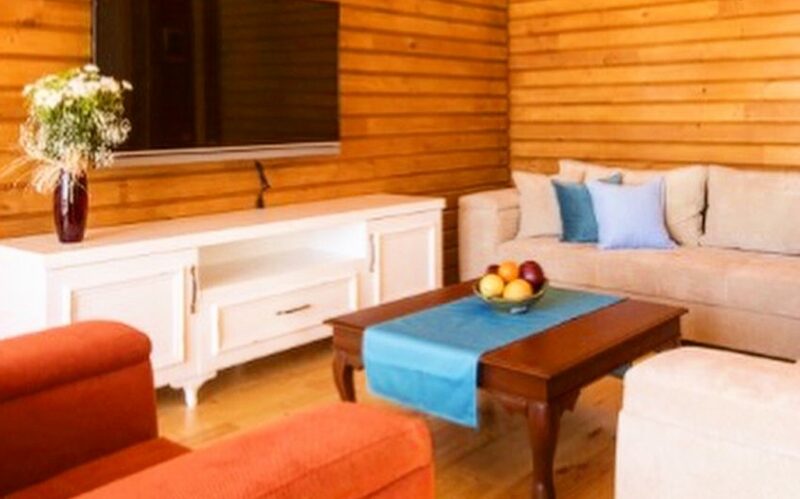 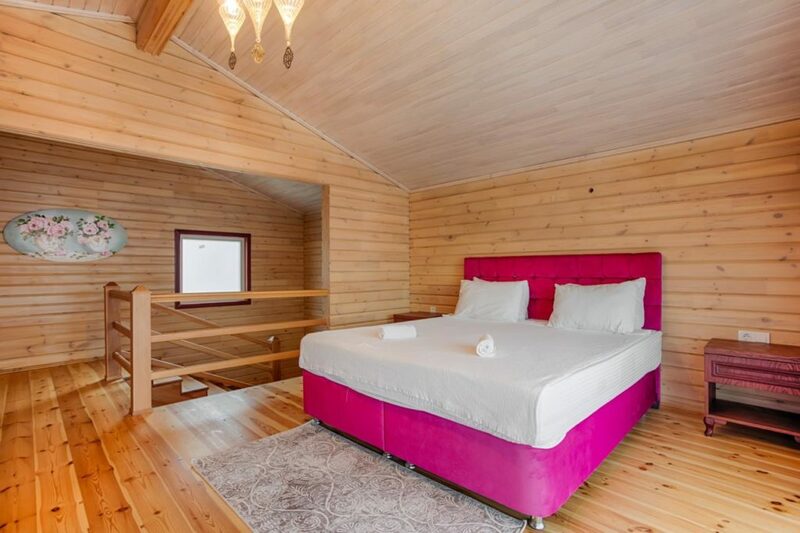 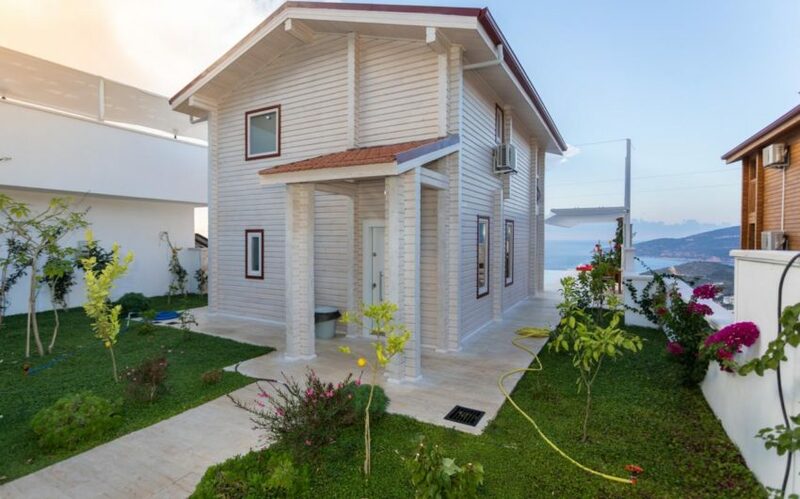 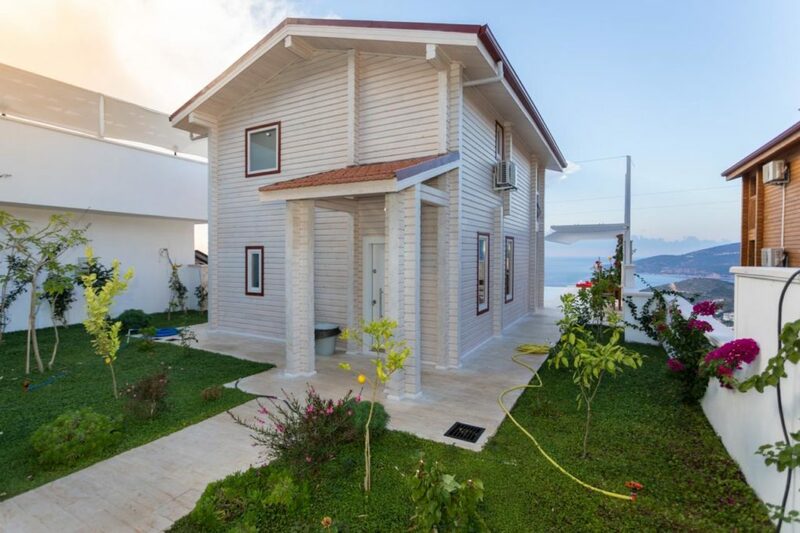 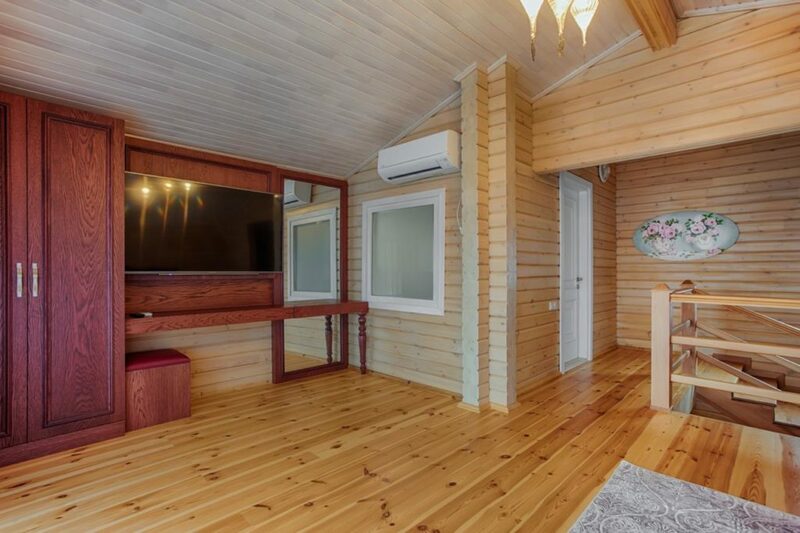 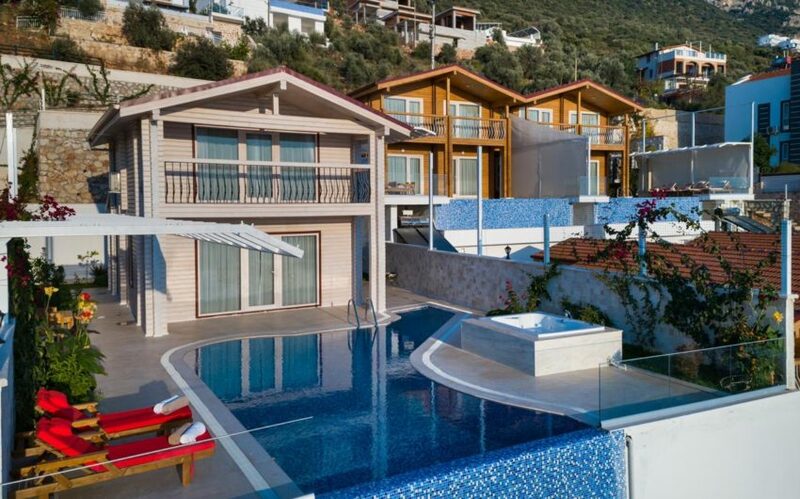 We adore this small complex of villas with a stylishly simple appearance and yet thoroughly modern and comfy interiors. 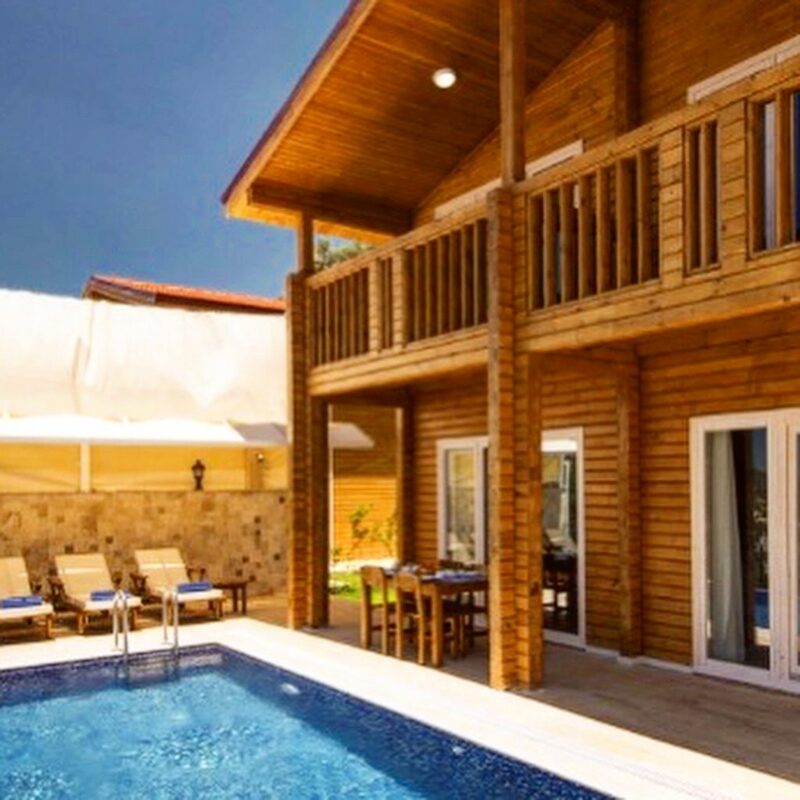 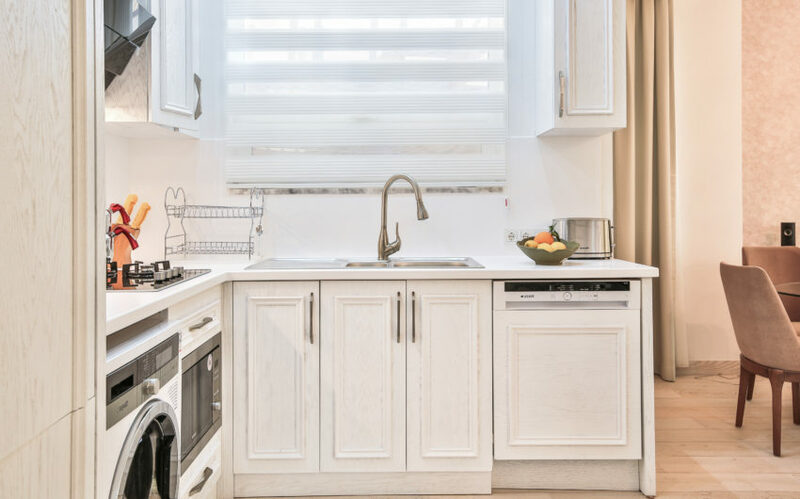 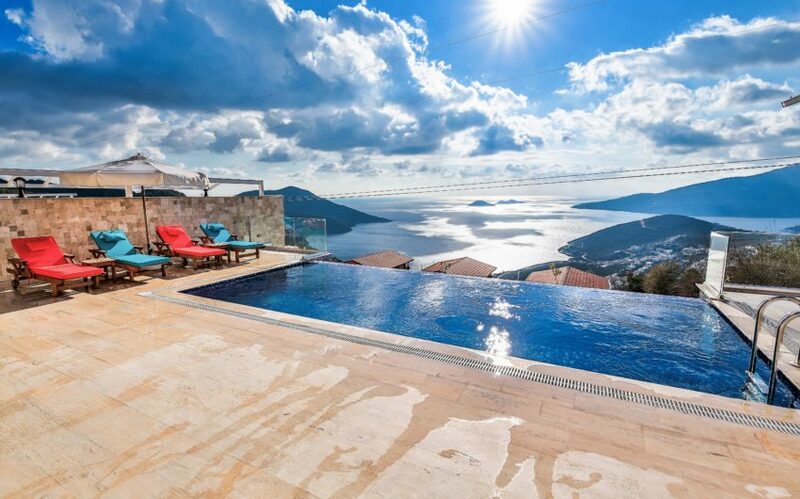 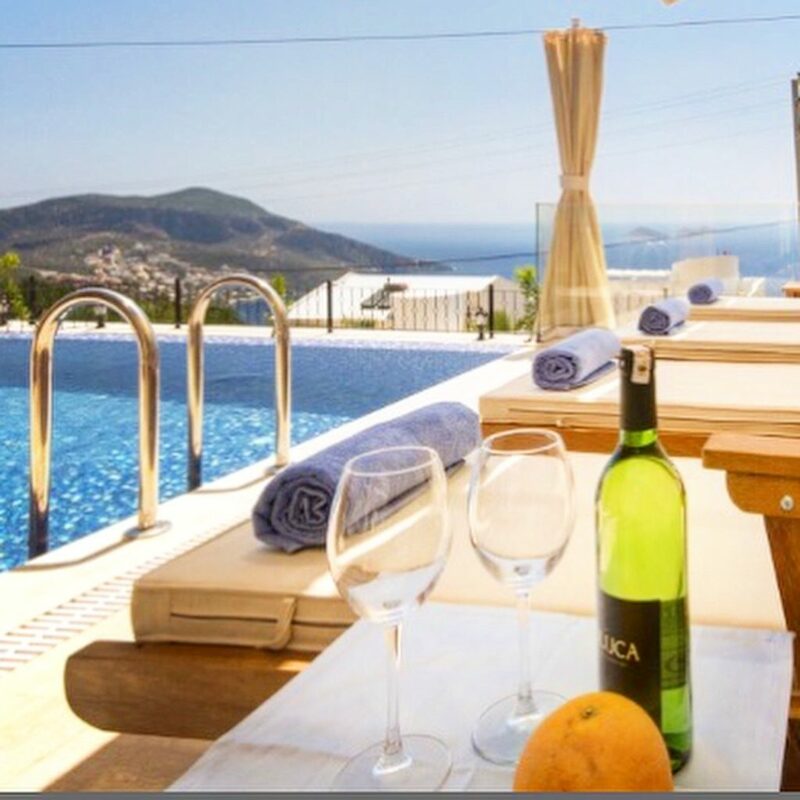 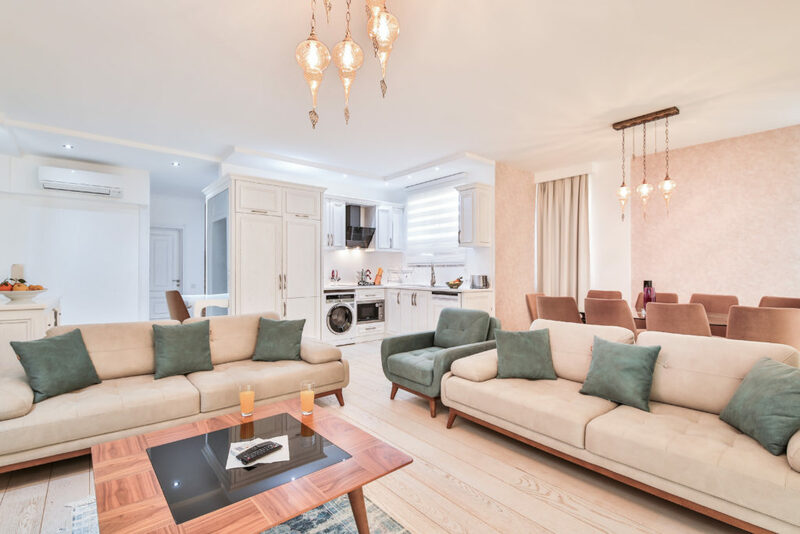 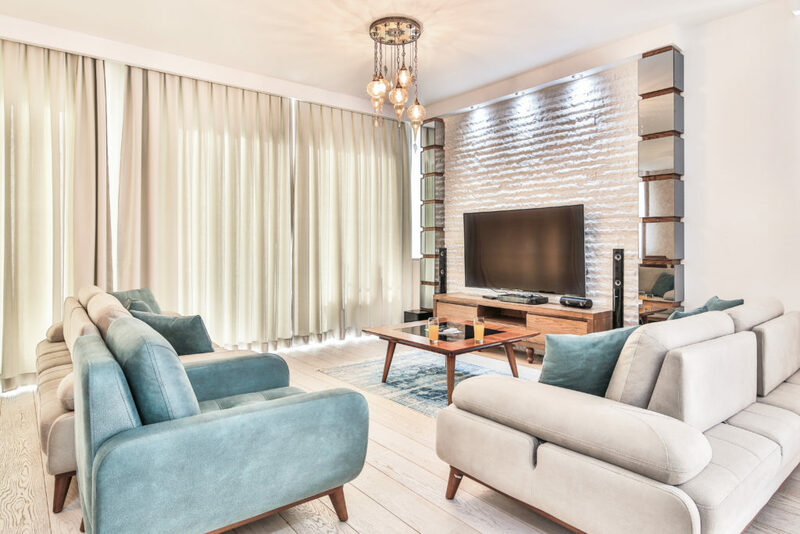 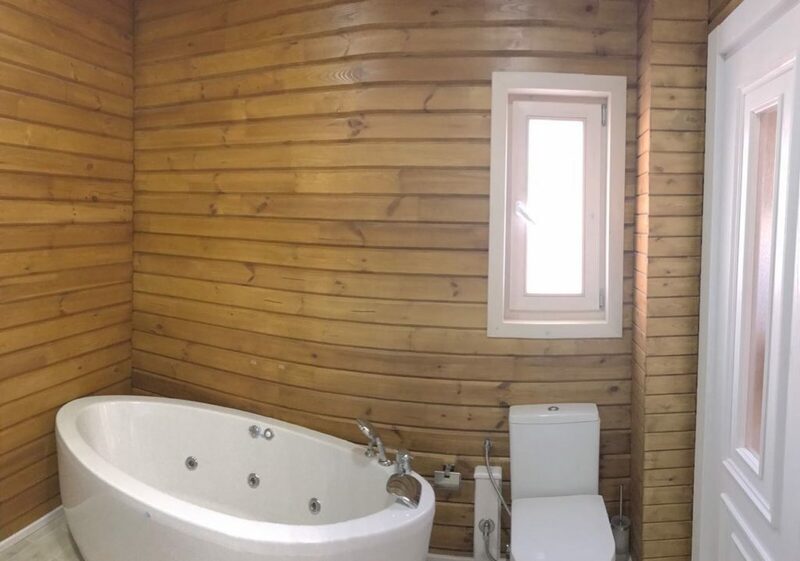 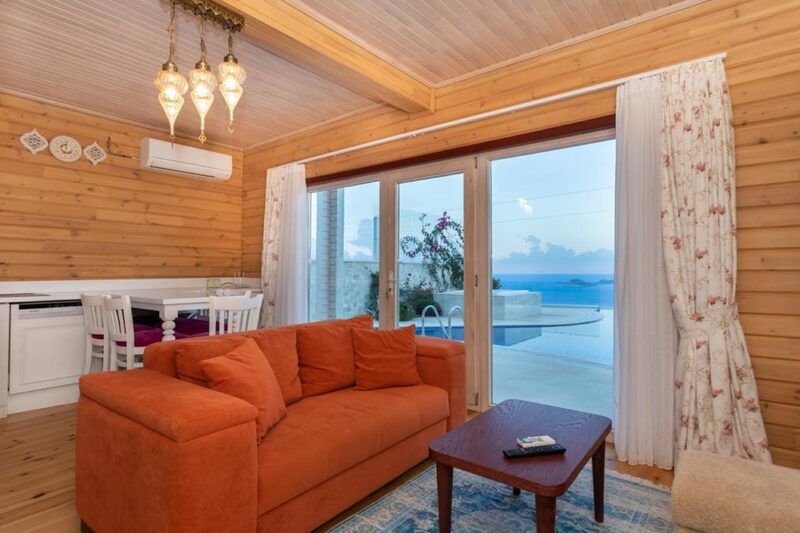 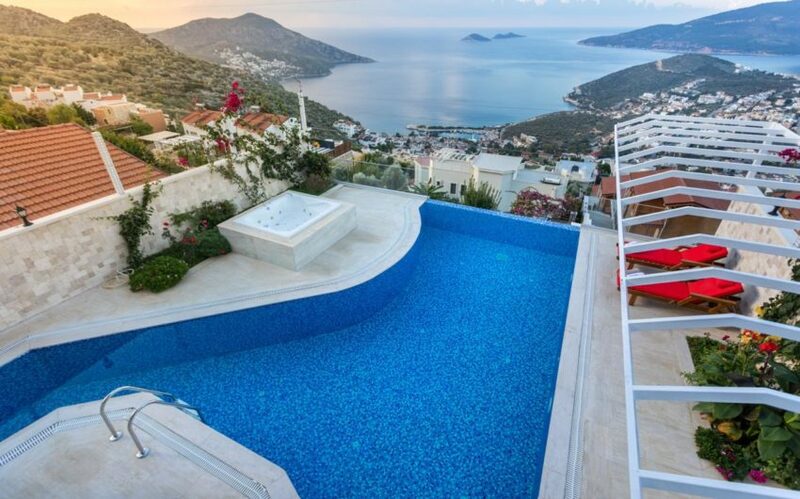 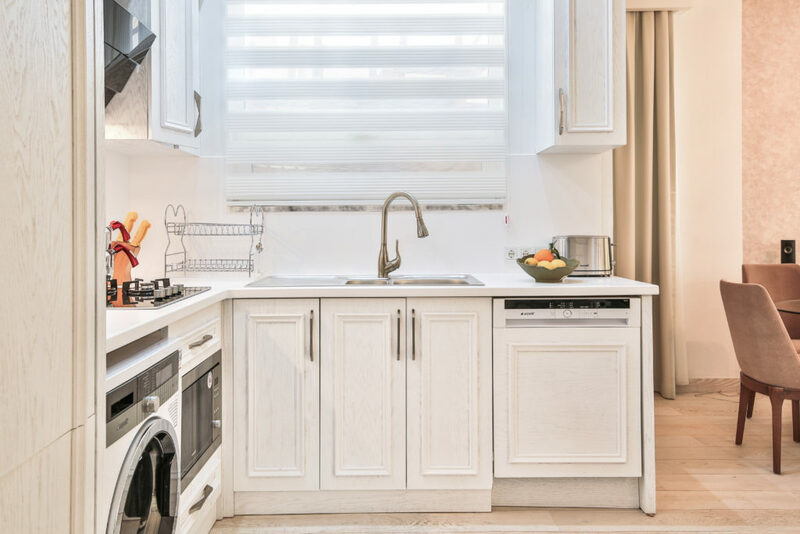 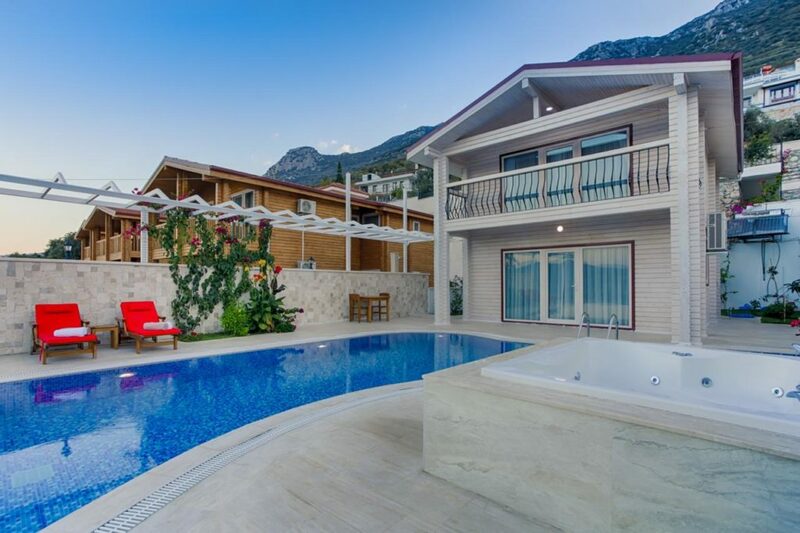 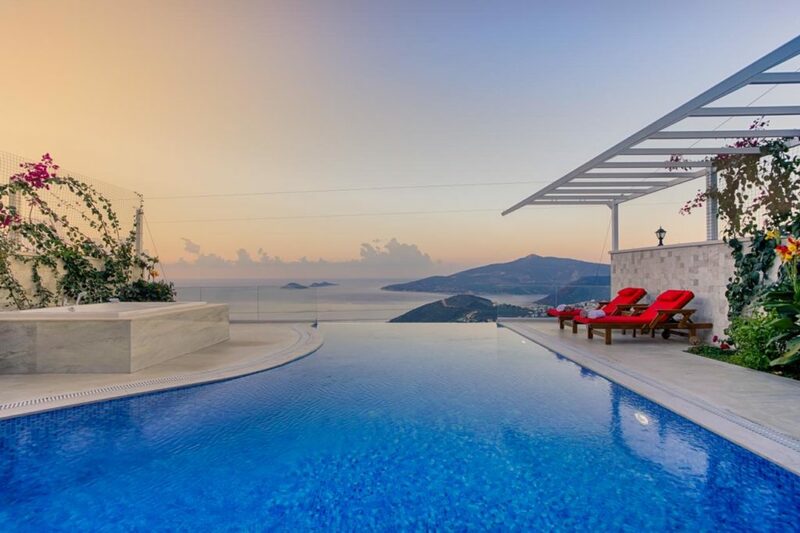 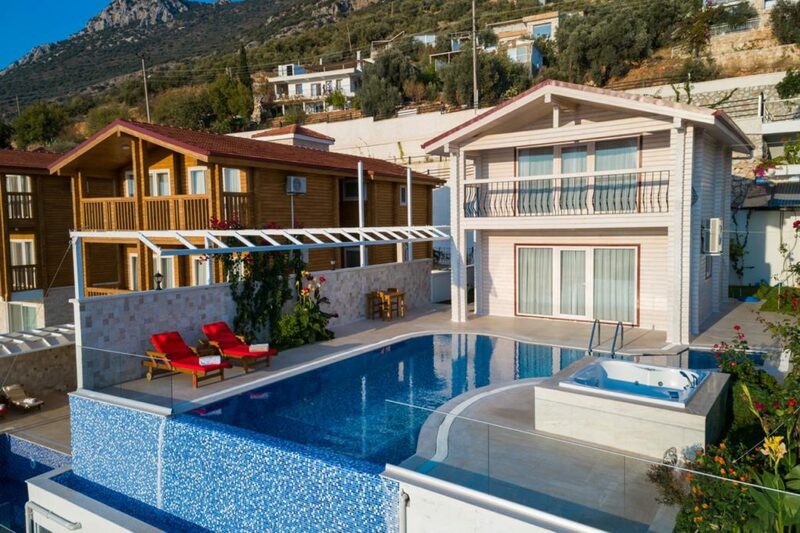 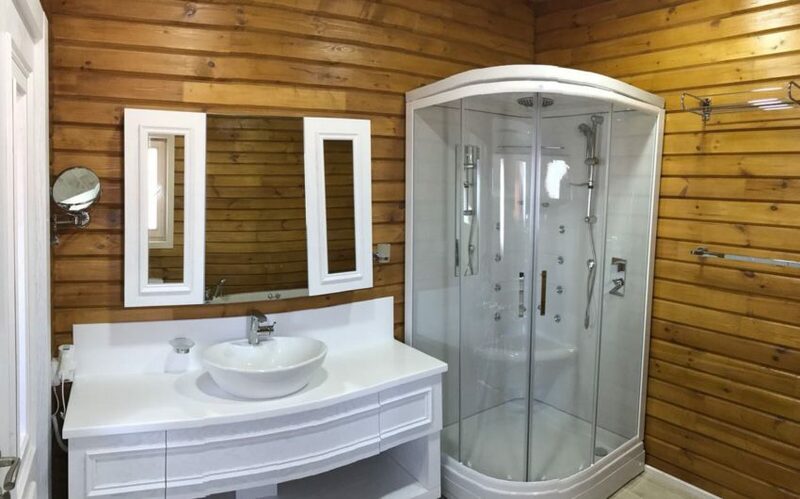 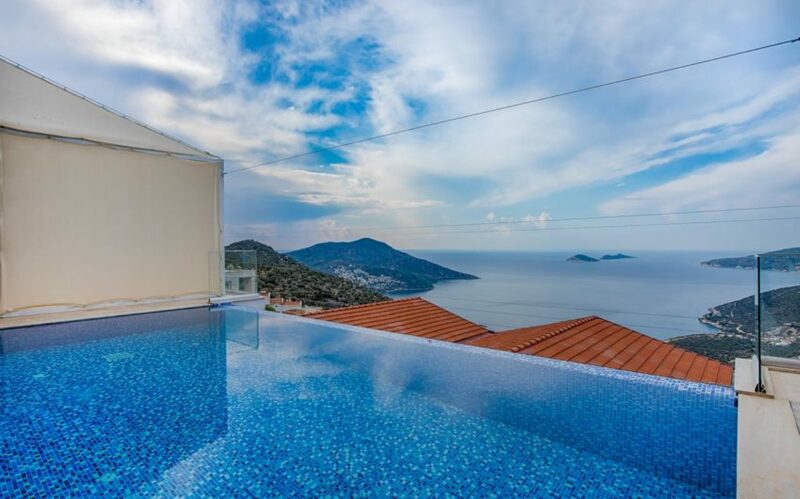 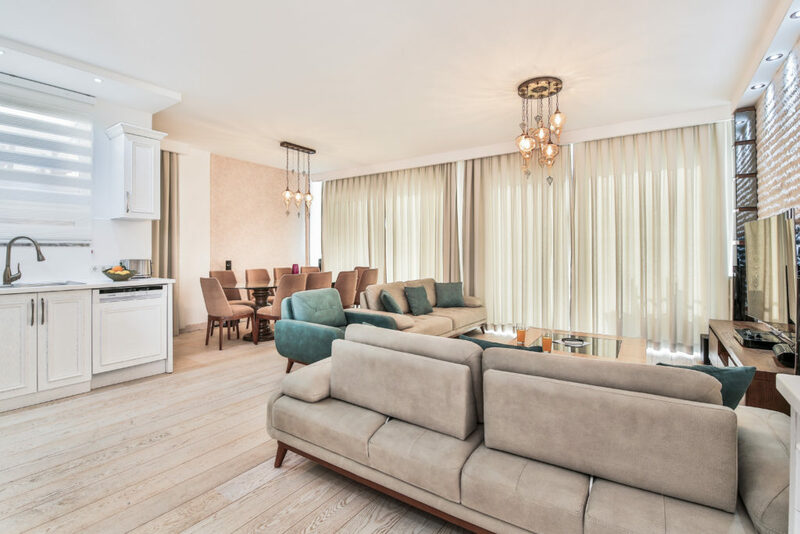 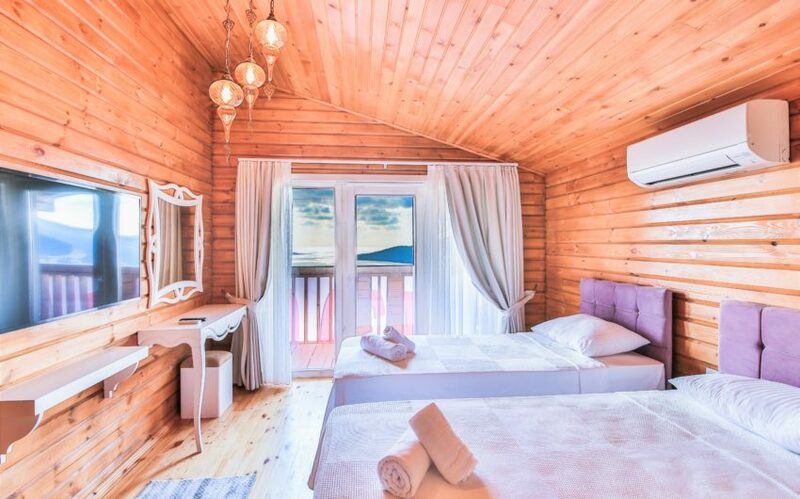 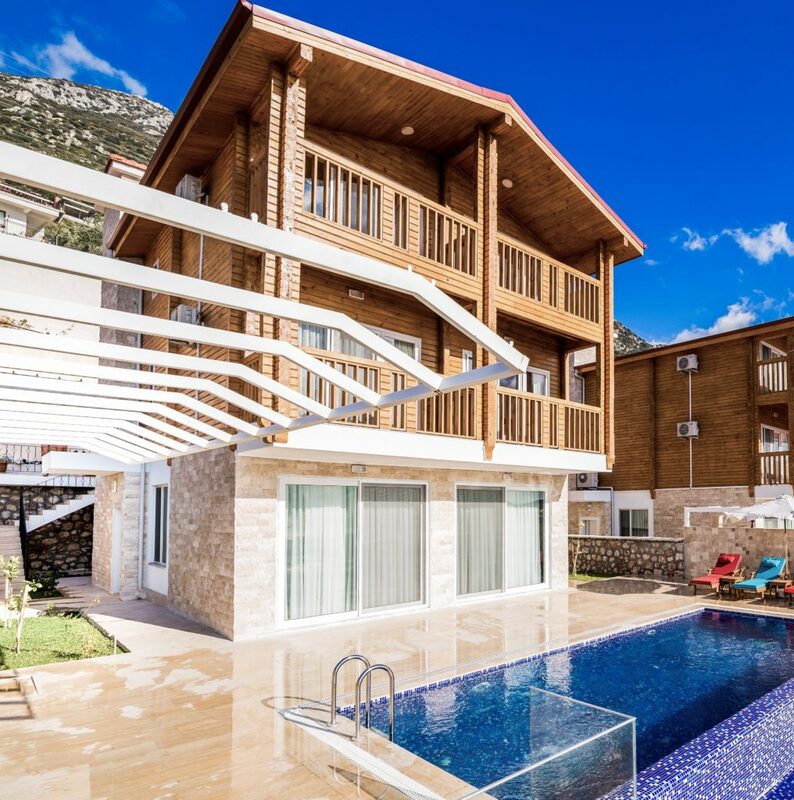 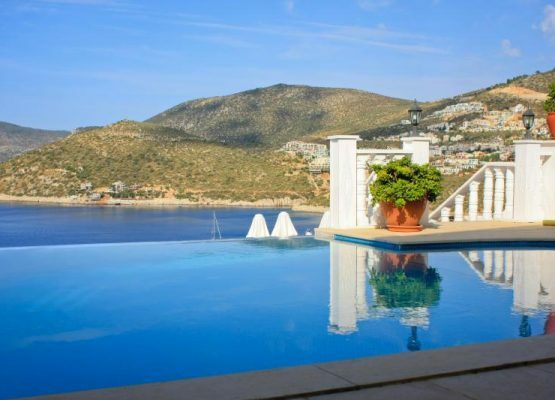 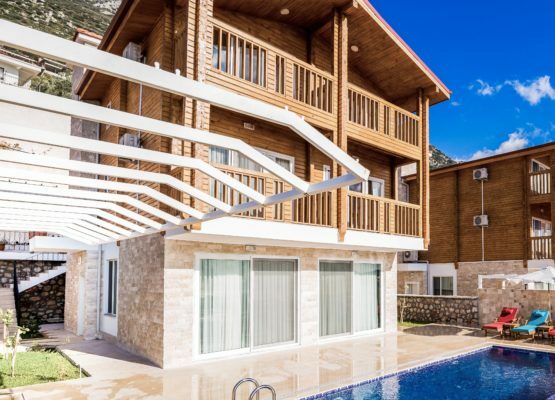 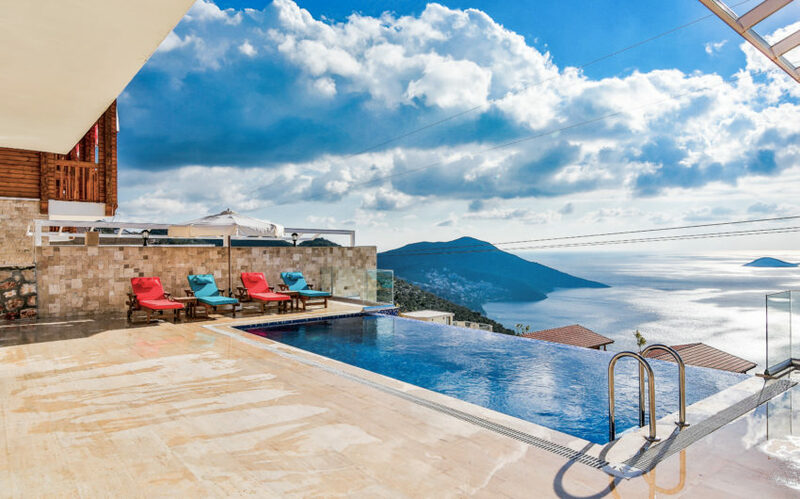 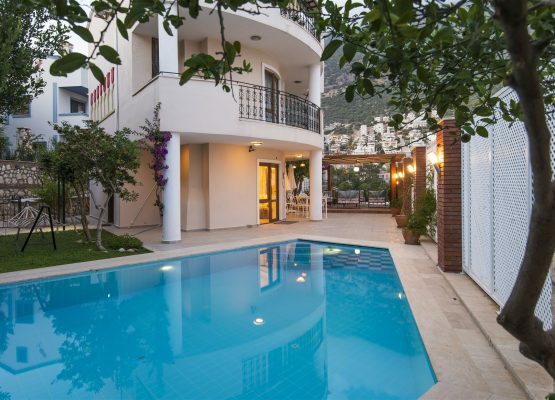 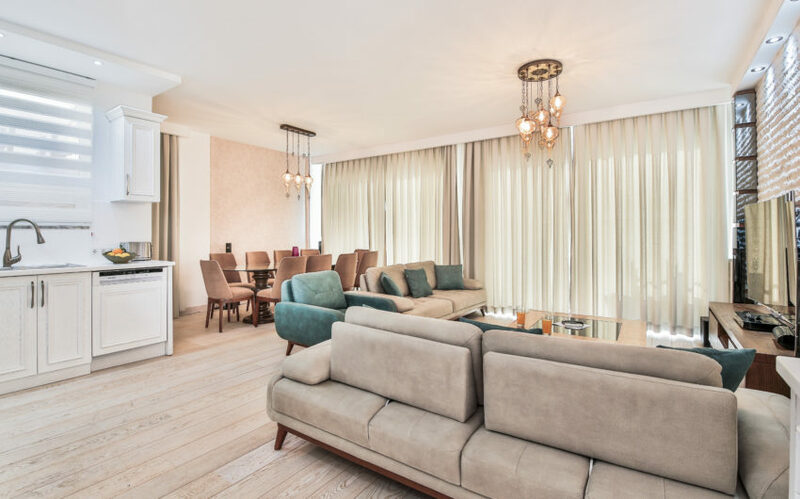 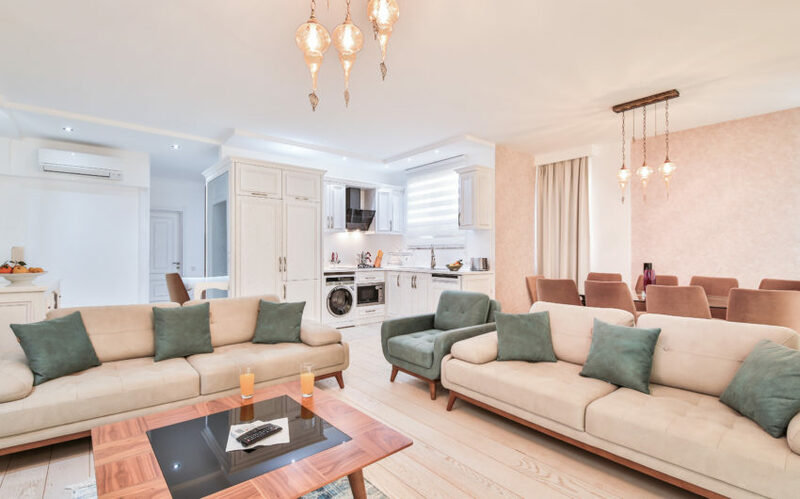 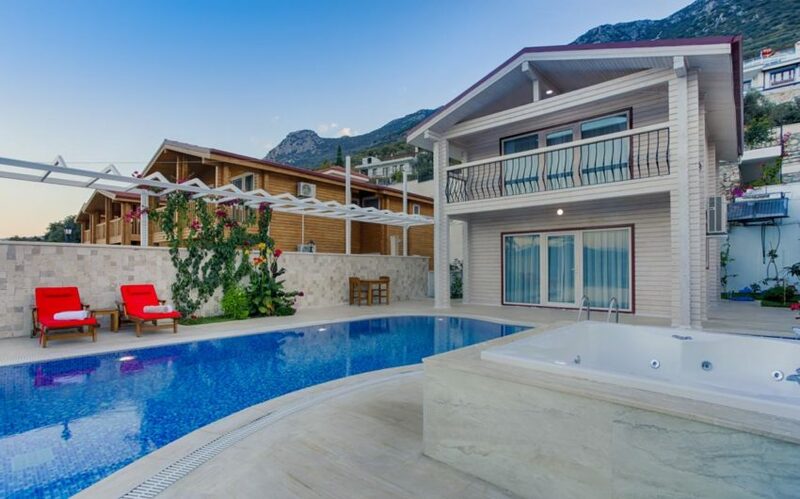 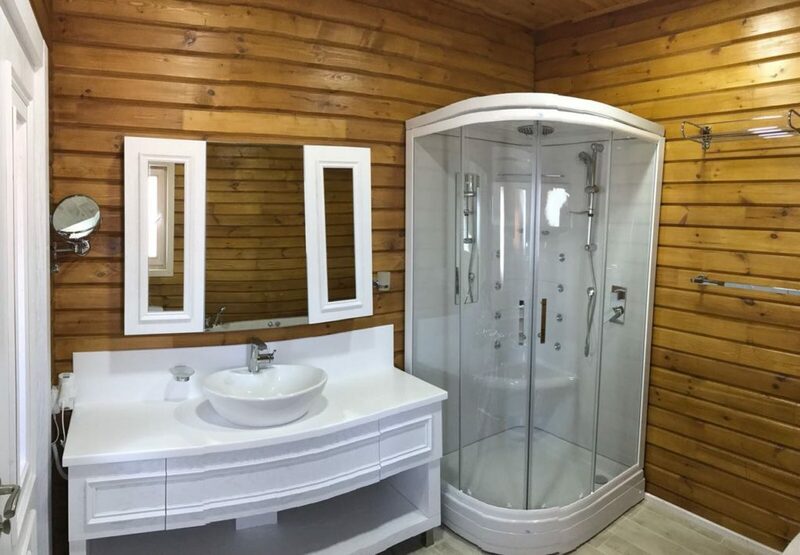 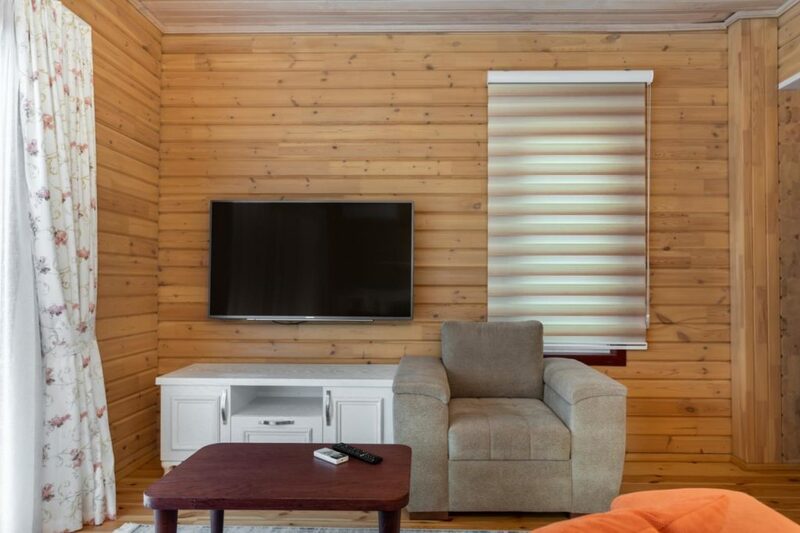 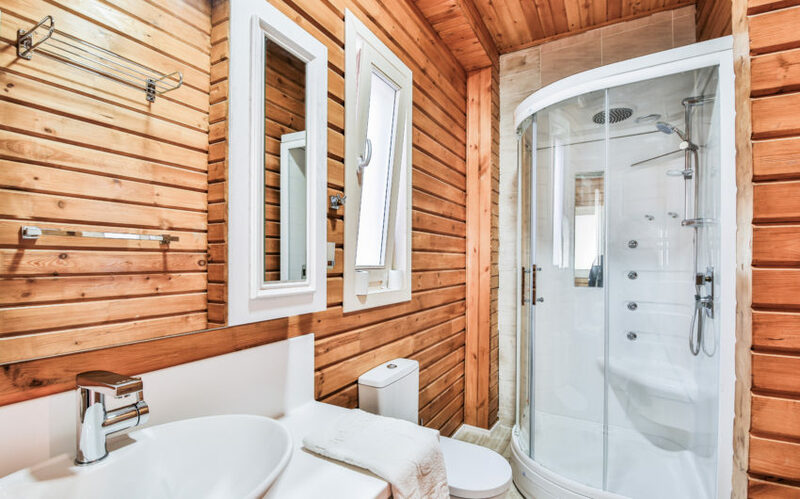 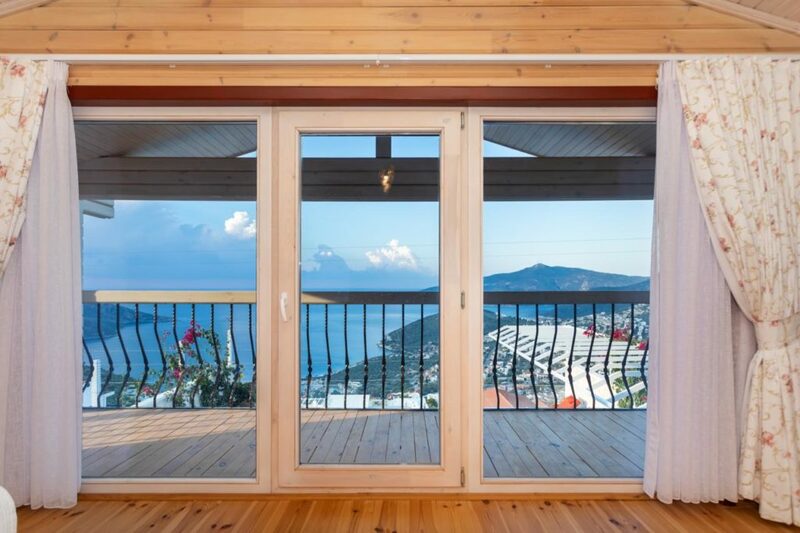 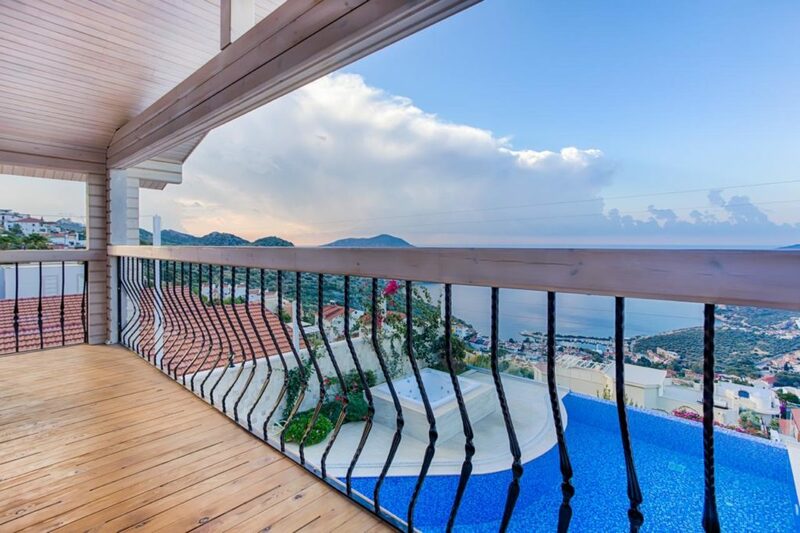 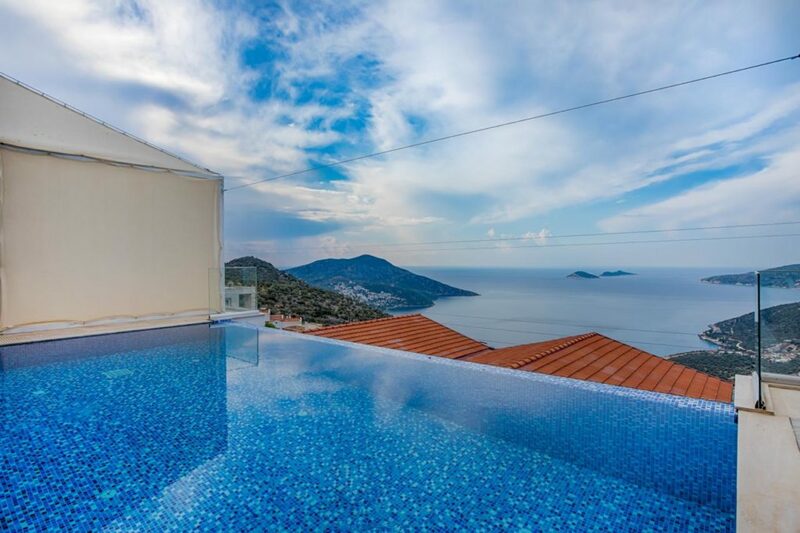 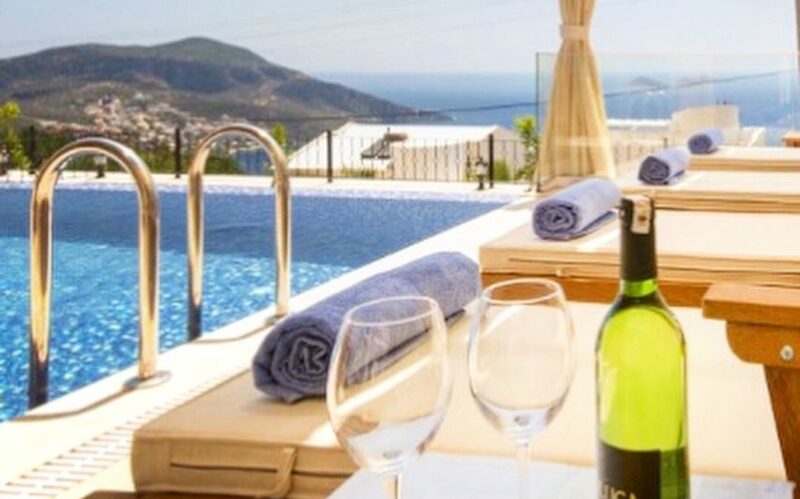 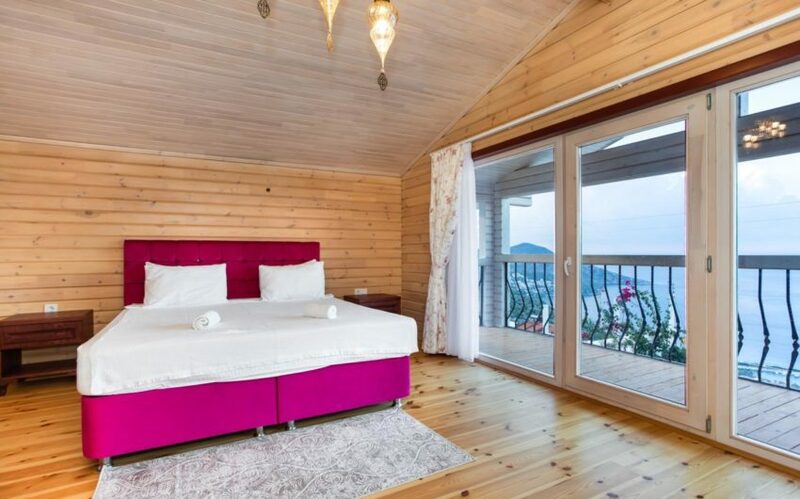 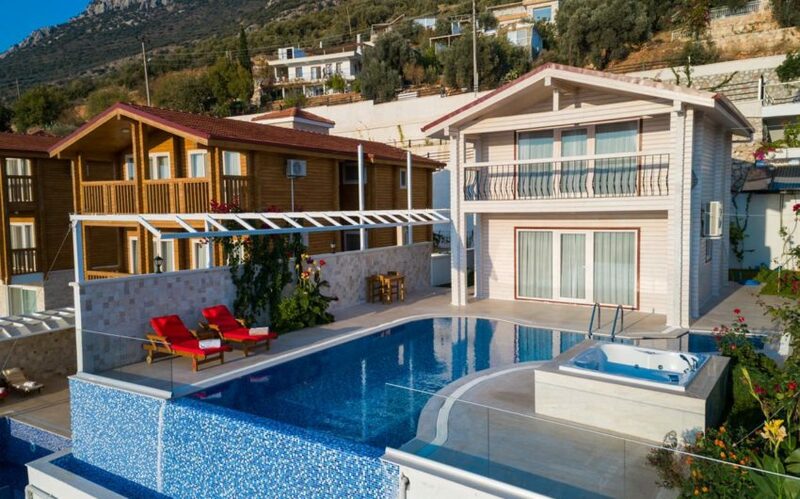 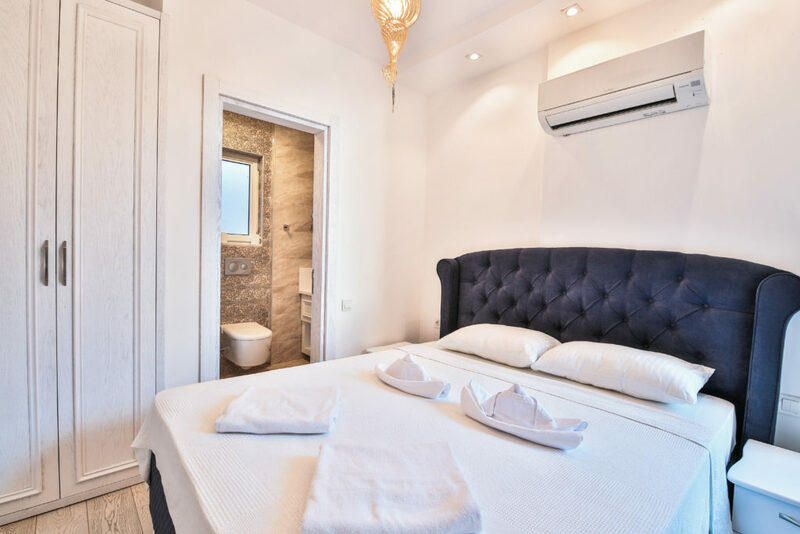 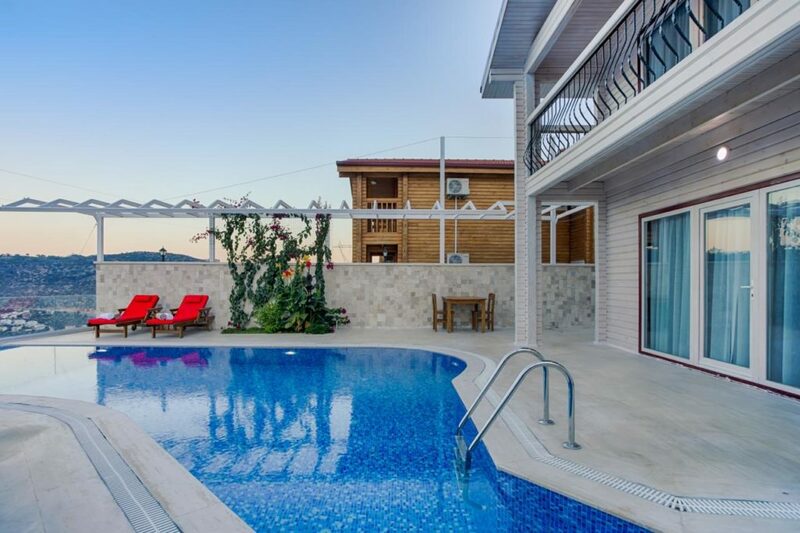 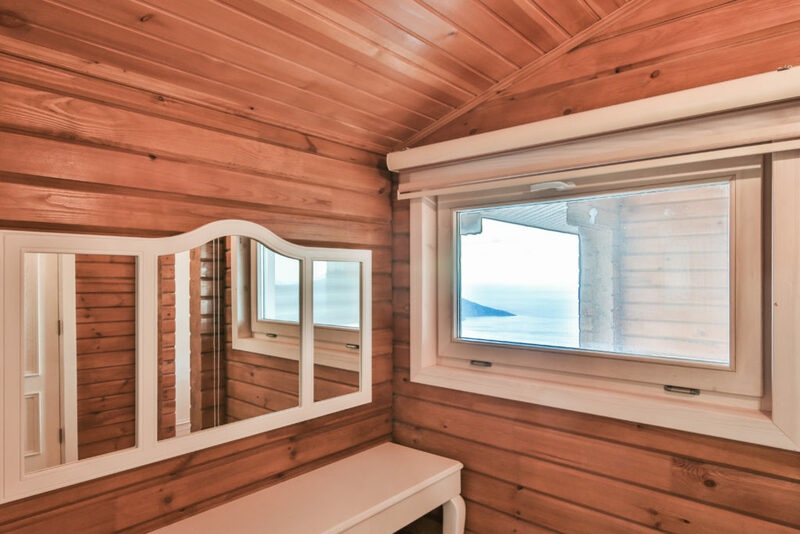 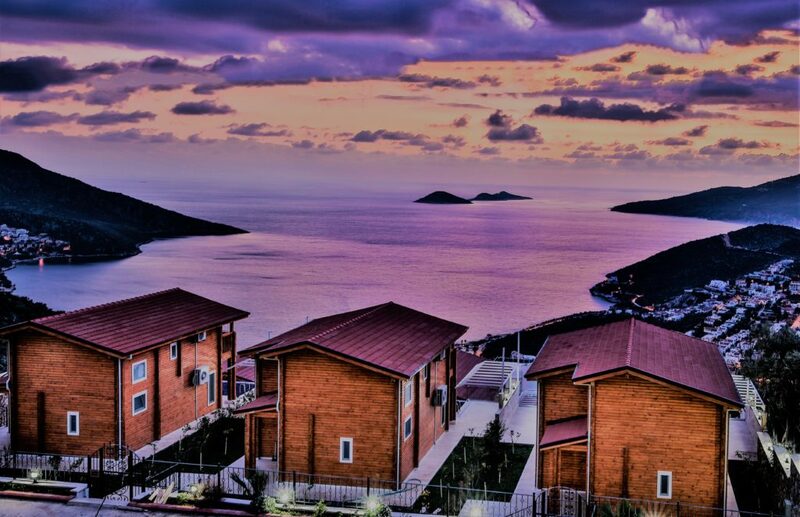 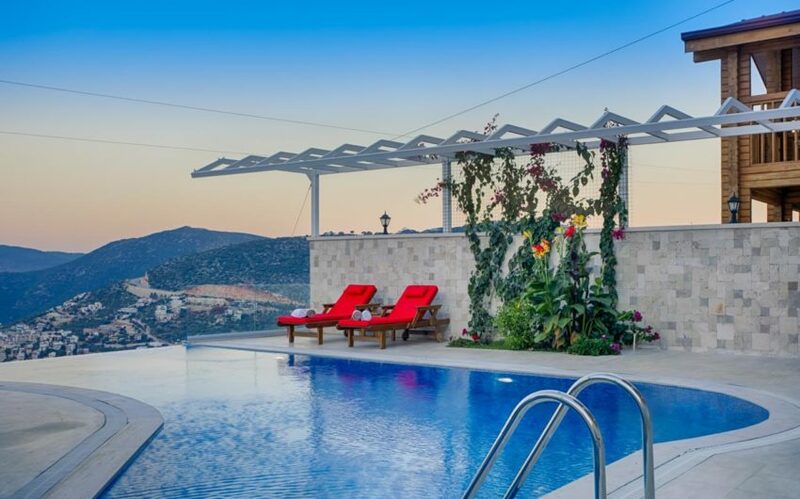 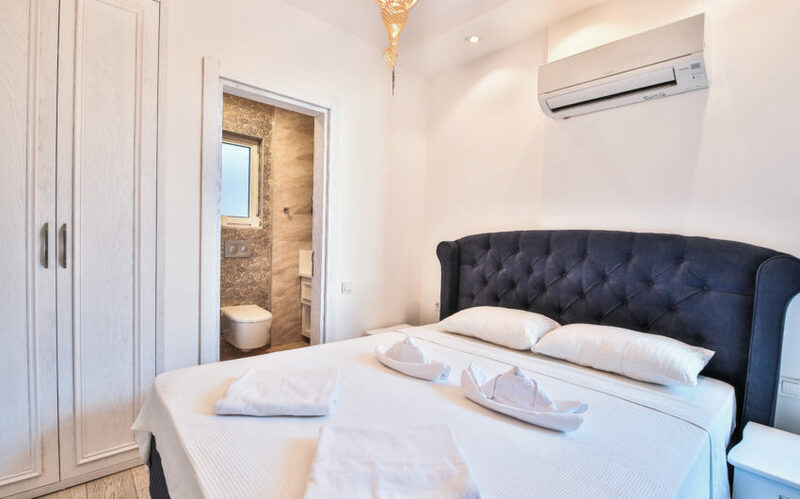 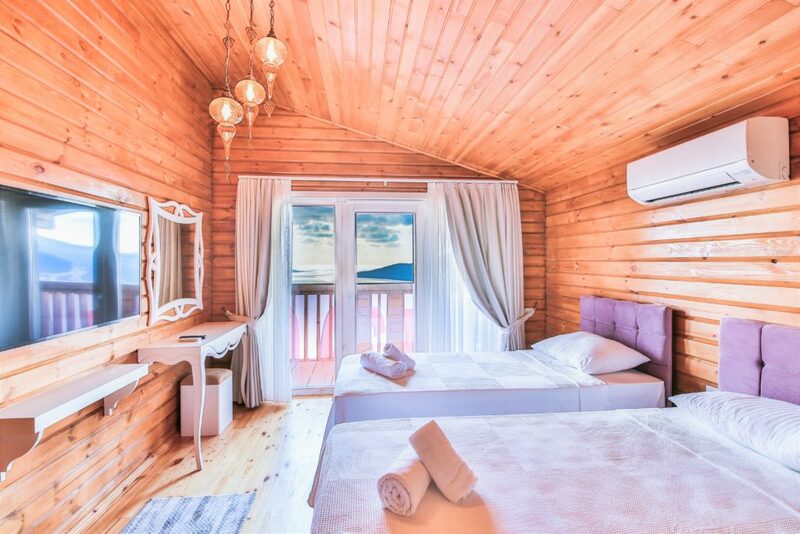 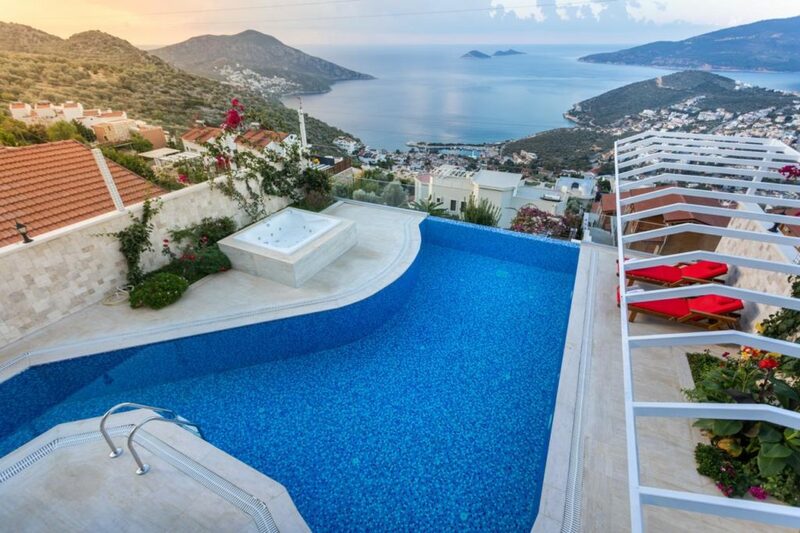 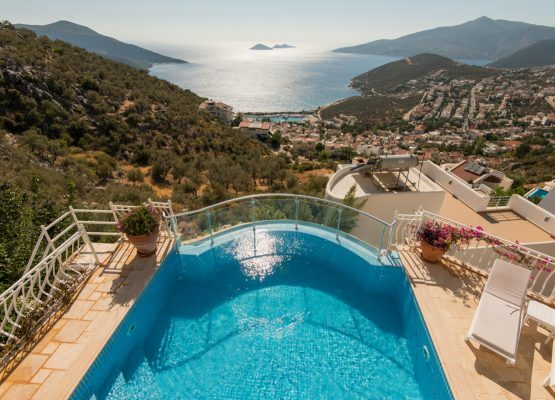 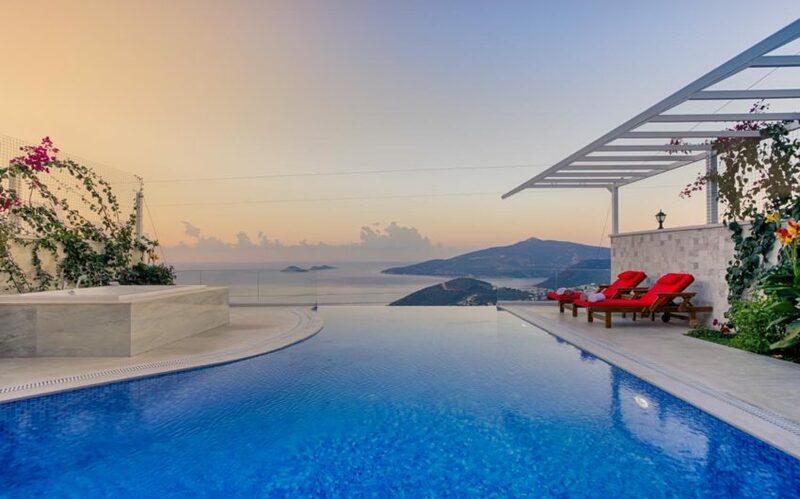 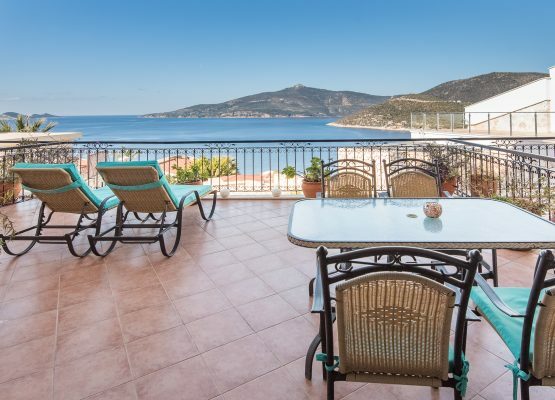 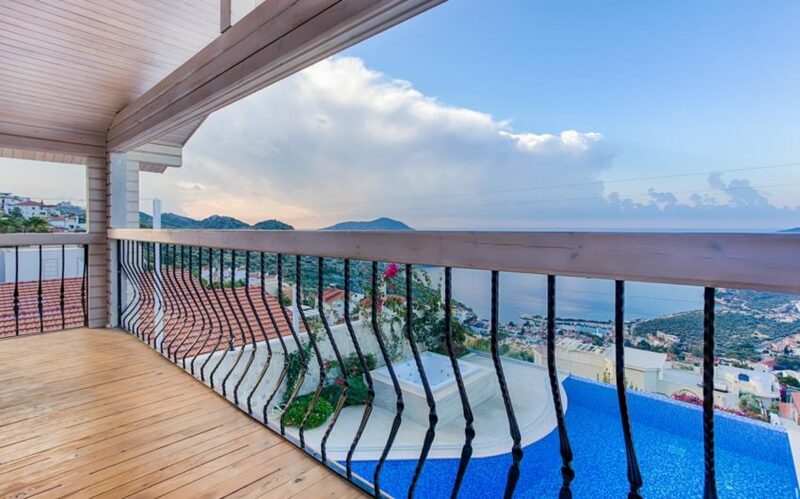 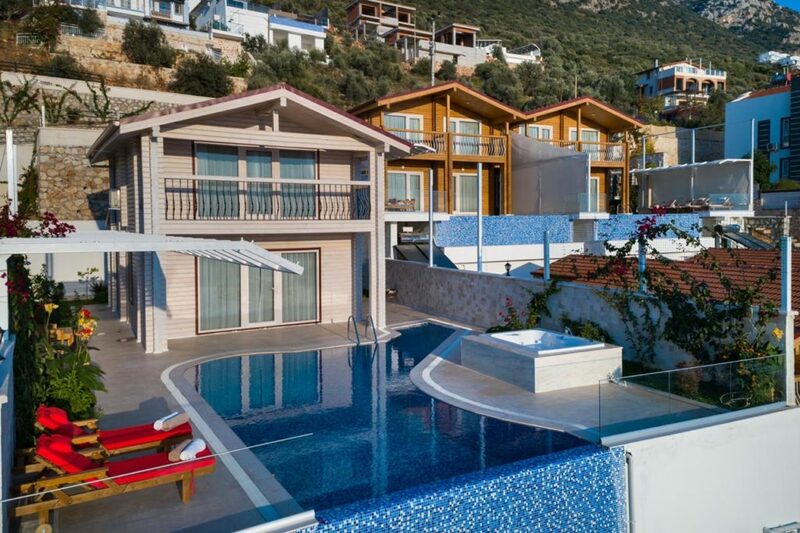 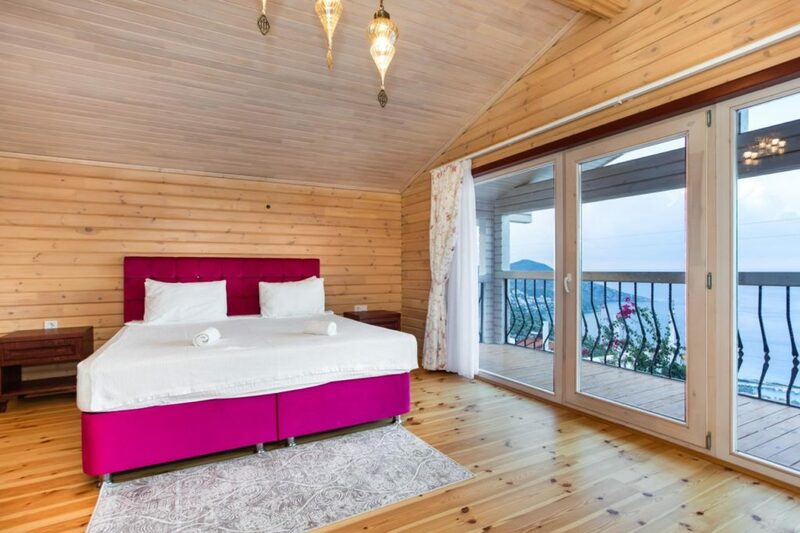 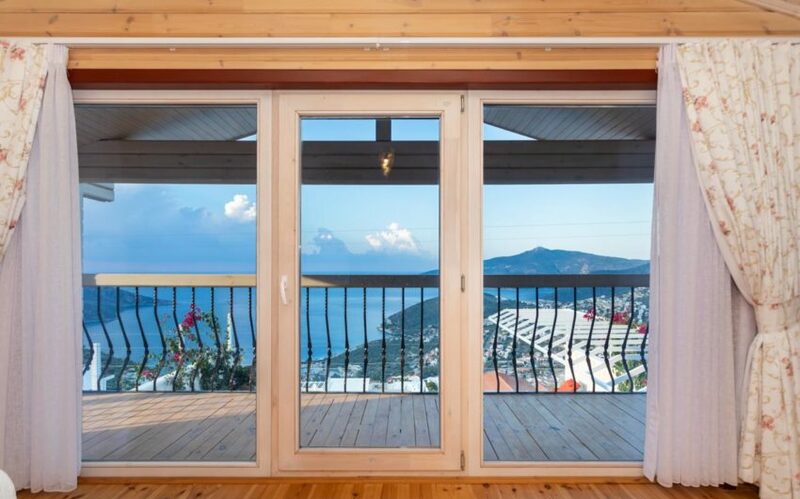 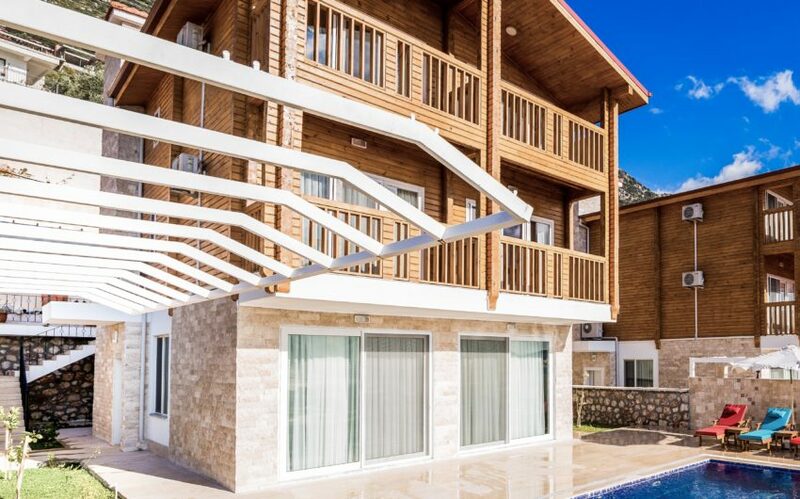 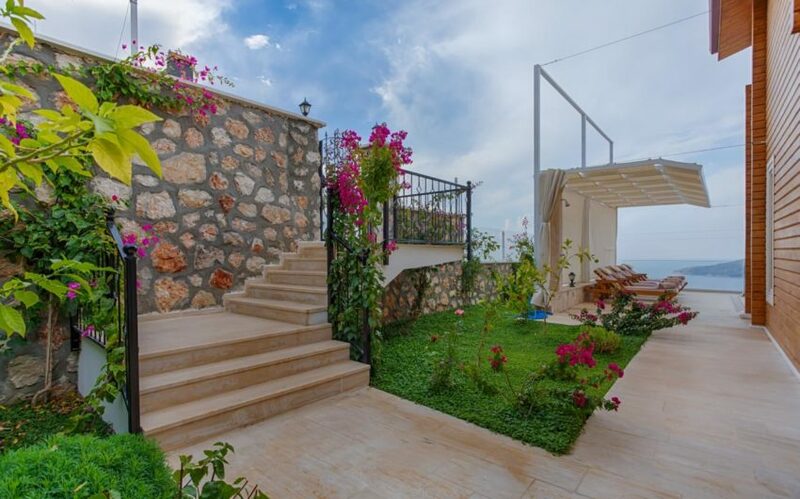 All have their own private pool, boast exceptionally great views across the whole of Kalkan bay with en suite shower rooms to all bedrooms & jacuzzi baths to some. 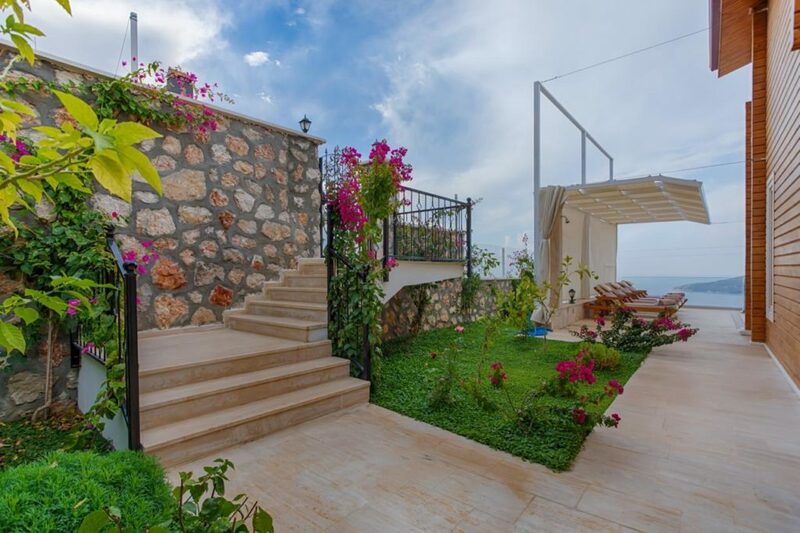 Plenty of sunbeds to laze on, perfect areas for al fresco dining and barbeques. 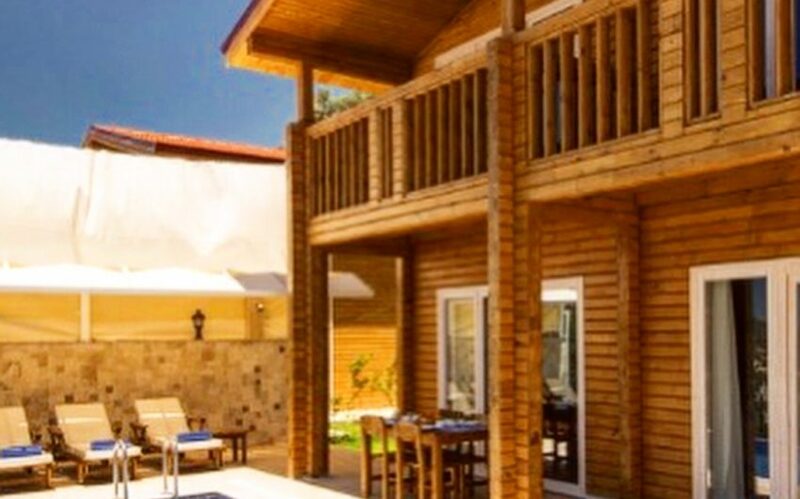 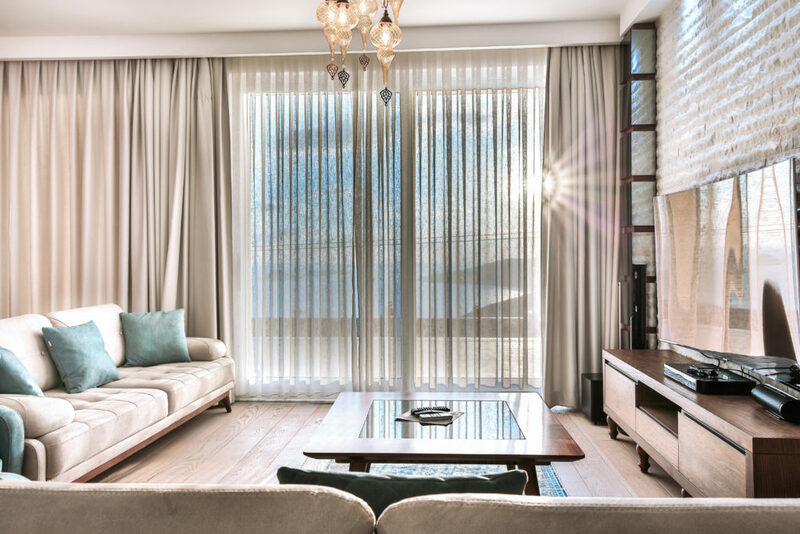 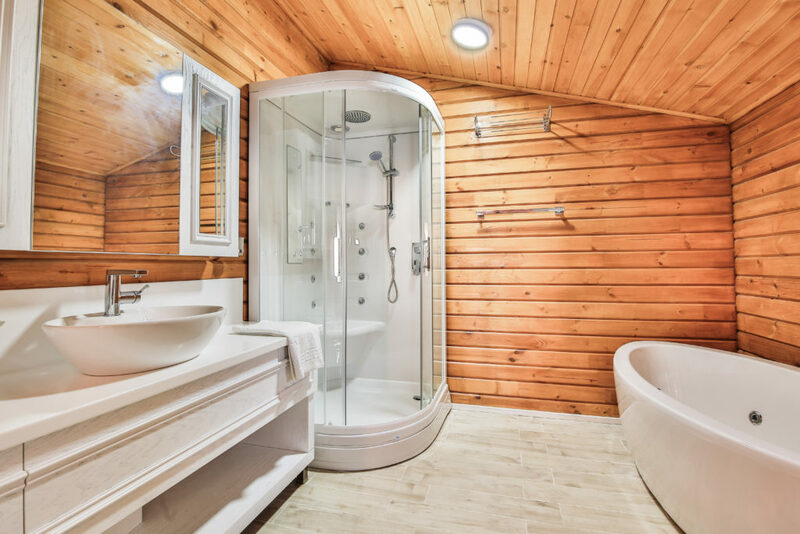 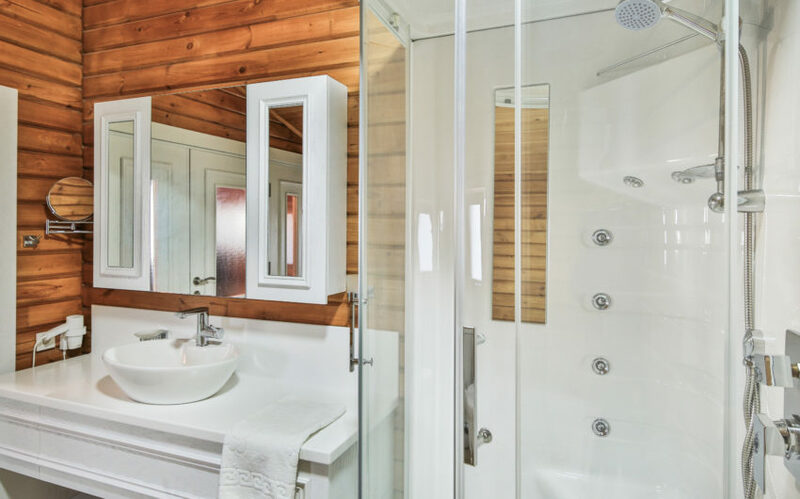 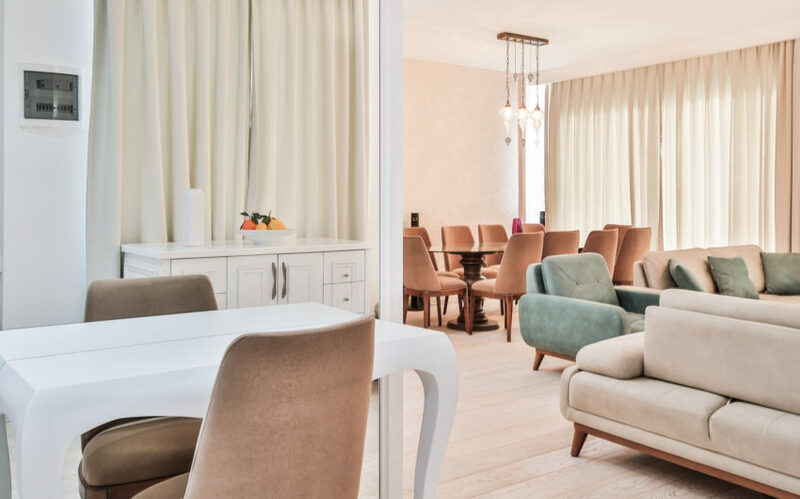 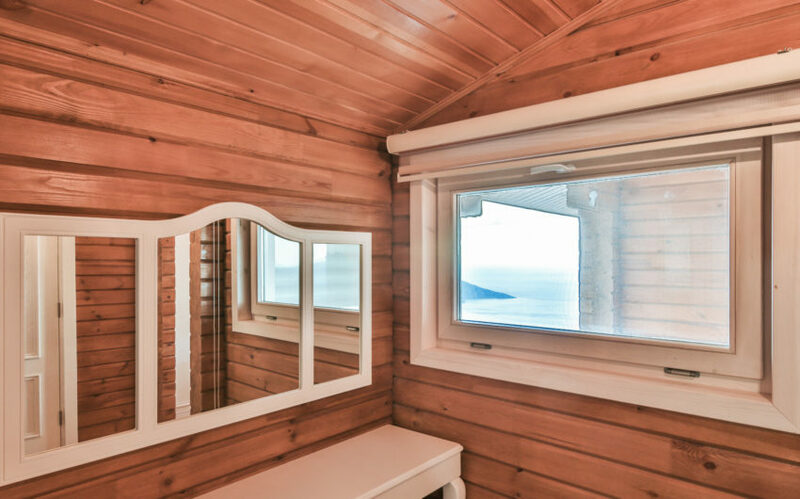 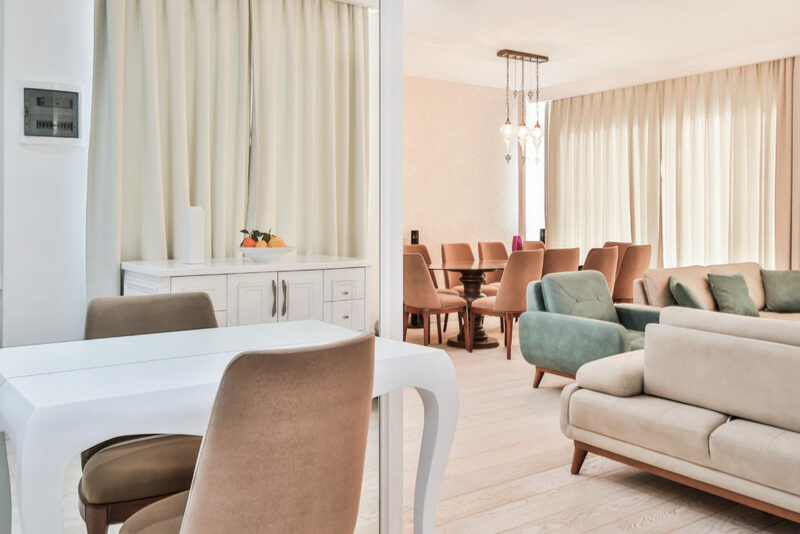 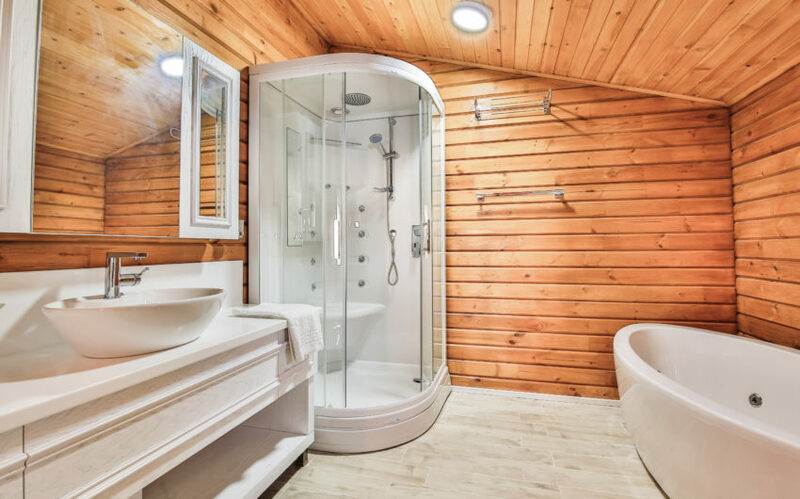 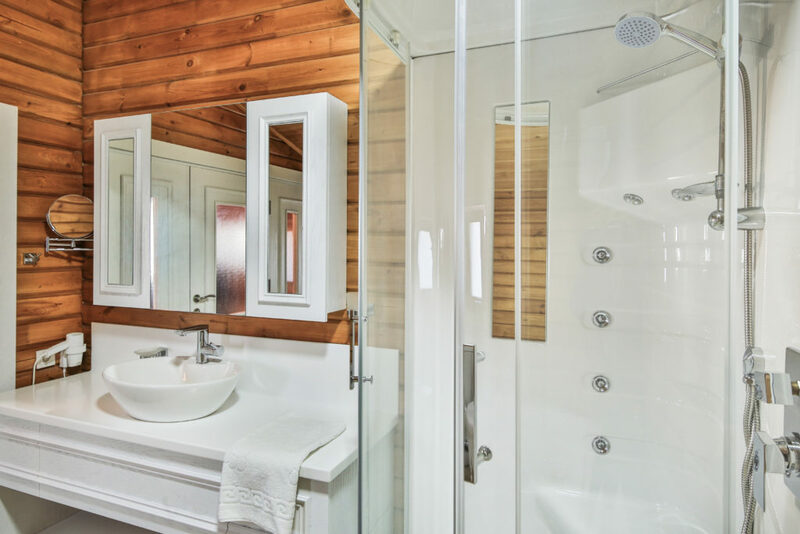 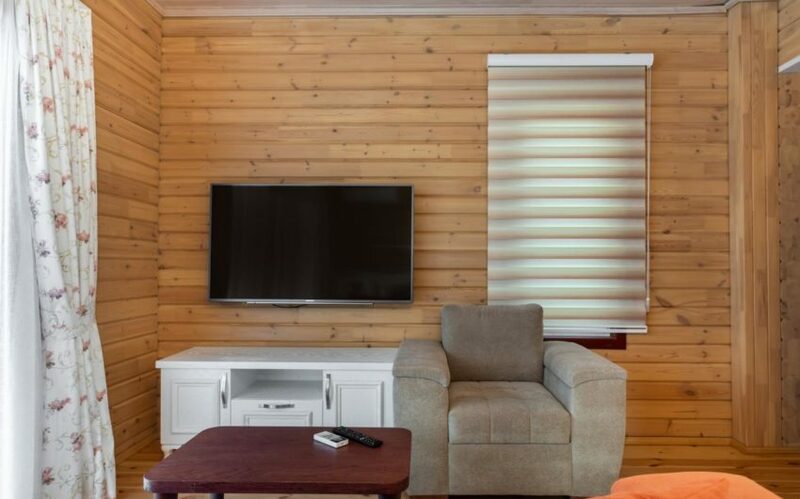 They were completed in Spring 2018 and have proved extremely popular with our guests last summer. 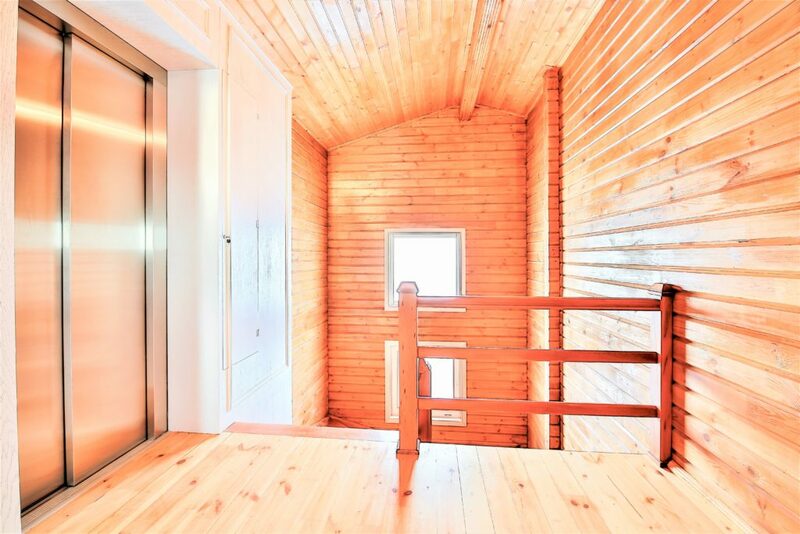 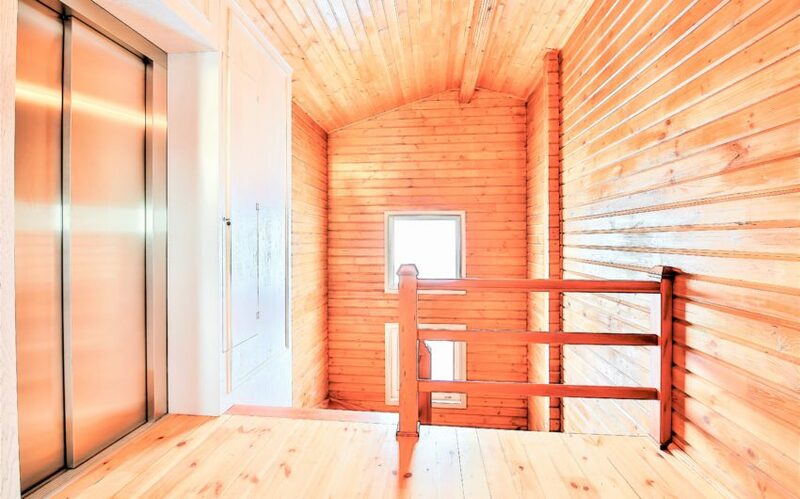 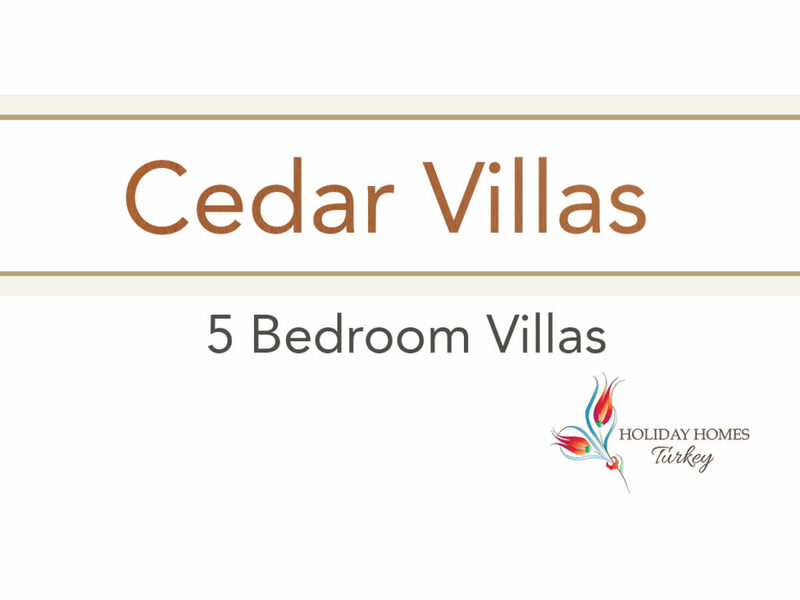 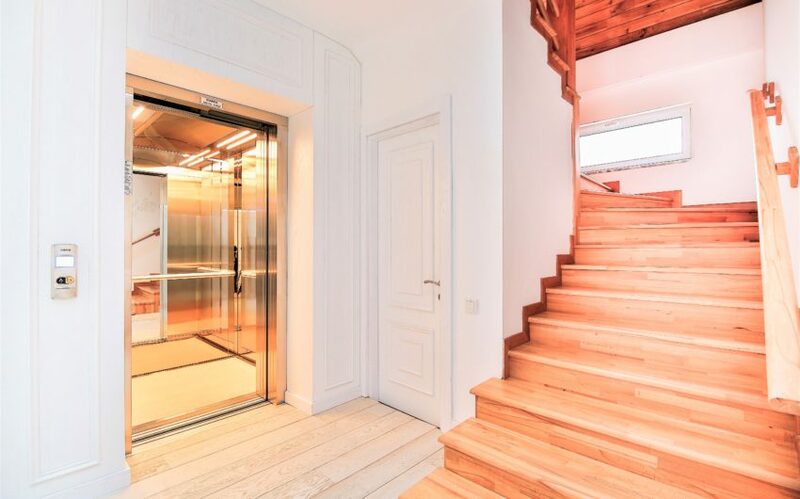 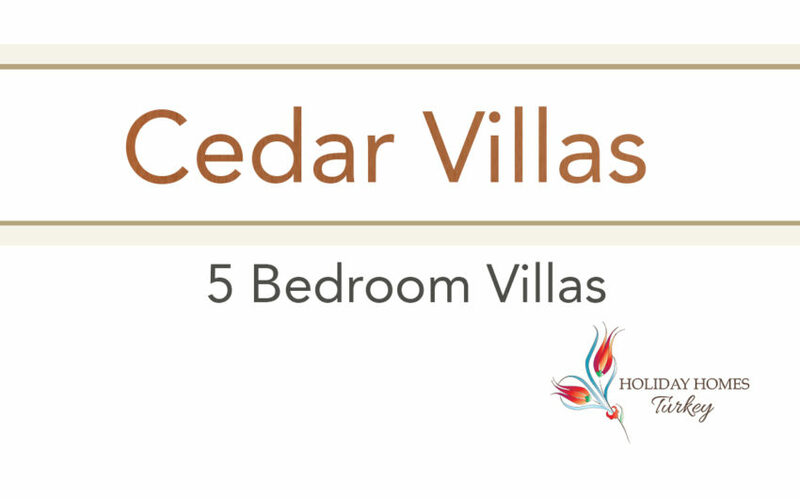 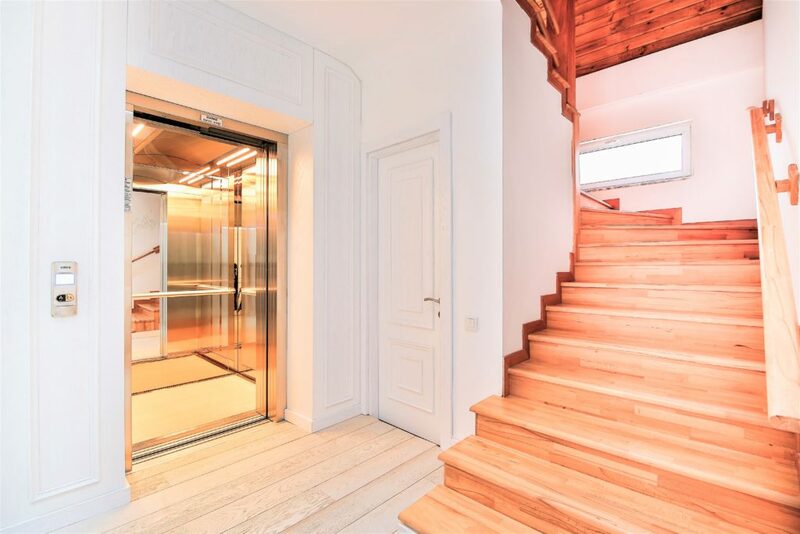 The 5-bedroom villas are laid out over 3 floors with an interior lift as well as staircase. 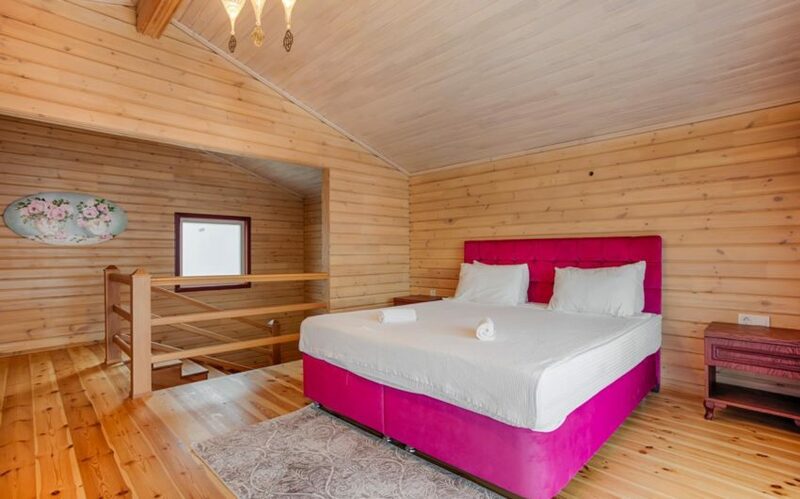 The 2-bedroom villas comfortably sleep four guests and the exclusive 1-bedroom villa is a lovely romantic option for two with outdoor jacuzzi from which to appreciate the magical sunsets. 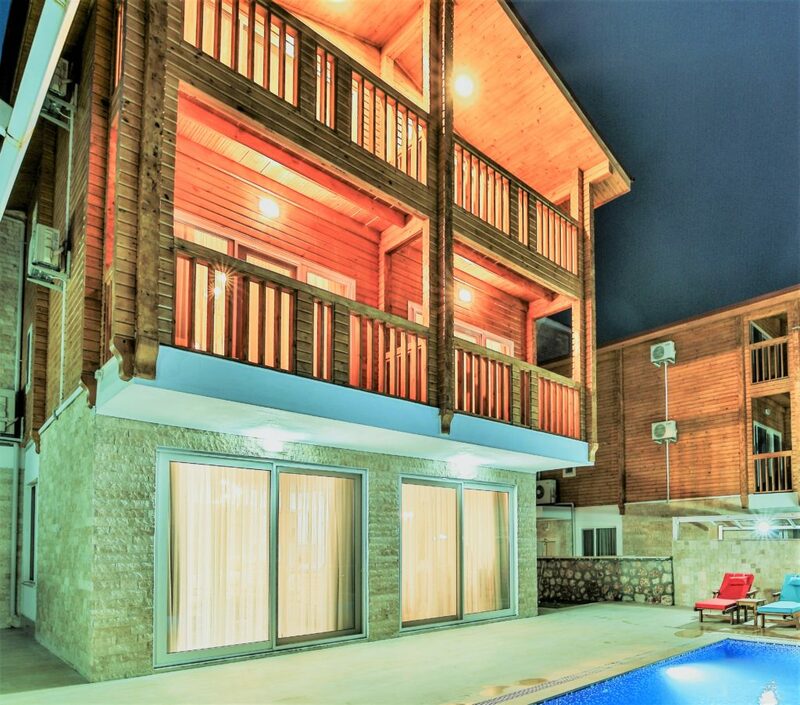 Two of the 2 bedroom Villas have heated pools, as does the 1 bedroom, for that little extra luxury. 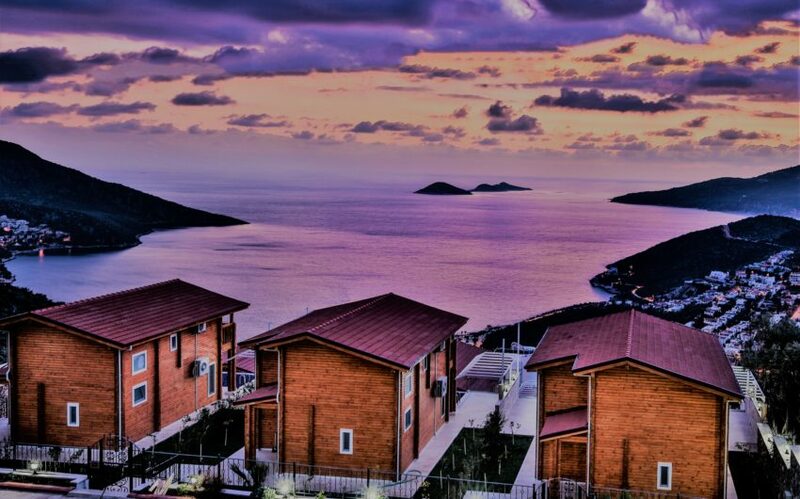 We can’t help but rave about the views and particularly the sunsets from such a central point above the bay. 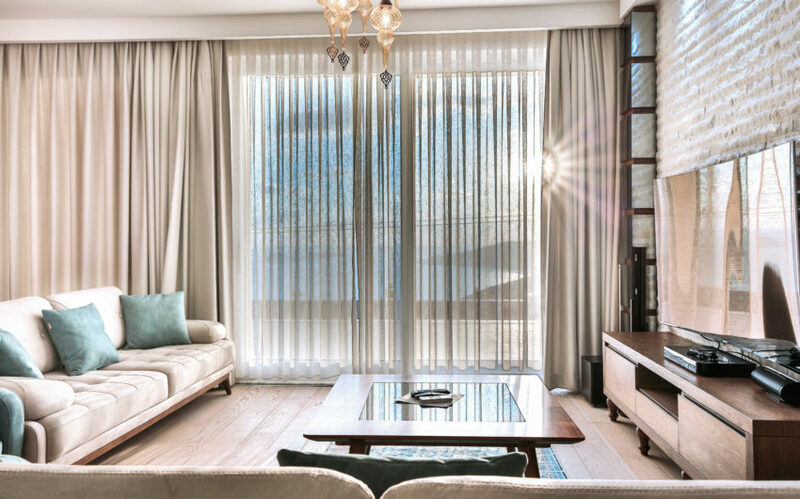 High standard of furnishings makes them very easy to relax in. 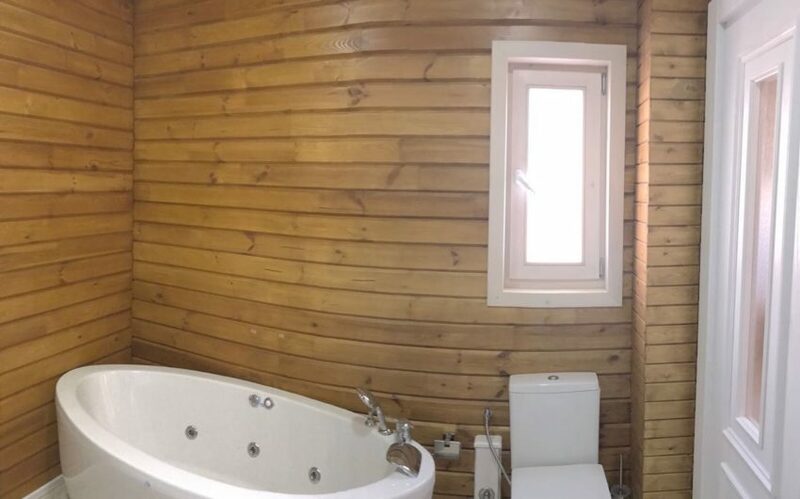 Also, extremely advantageous having on site help from the office and a small restaurant for snacks. 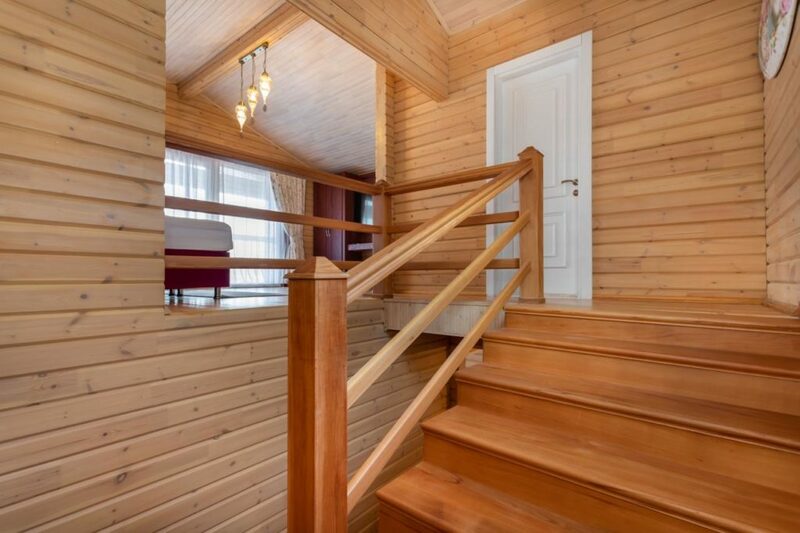 The fragrance of that beautiful cedar wood.